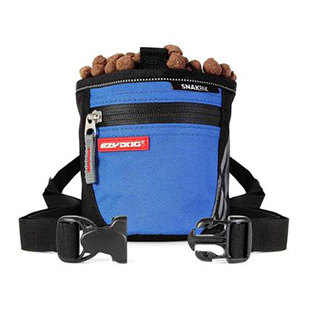 Take your dog training and competition status to the next level with the NEW Neo Mongrel Web from EzyDog. Perfect for training large to medium sized dogs or showing off your pooch in this years agility competition. Be one with your pooch when using the NEO Mongrel Web™. A leash for your big dogs! 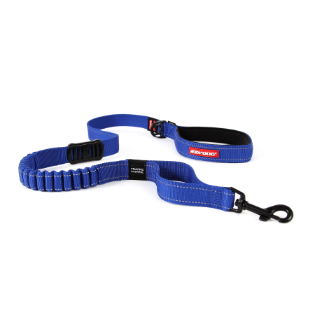 This leash for big dogs features EzyDog's Soft Touch Webbing™ for a comfortable feel and grip. The leash is ergonomic and lets you stay in full of control. Don't forget to add a unique dog collar or a quality dog harness to your NEO Mongrel Web purchase! I've bought several of the "Mongrel" extensions---one for home, one for each of my two vehicles, one for my boyfriend's house, one for his truck. I happened to have some off-brand 'handles' like this, but needed a couple more. These are heavy-duty, comfortable in the hand, and they fit on my extensions just as I wanted. I really like these handles, along with the Mongrel Extensions. I HIGHLY RECOMMEND the Neo Mongrel Web, along with the Mongrel Extension. Very well made, heavy-duty clip assures it won't come loose from the extension. Absolutely love EzyDog products. This handle works wonderfully for me. Having some difficulty grasping and using on - this give me just the right amount of handle to hold onto, yet I can sti use either an extension or clip right to the harness. I was pleasantly surprised at the comfort and quality of this product. My 90 lb lab had knee surgery and needed extra support while on the mend. I had purchased a short lead like this when she was a puppy, but could not locate one anywhere. So I went on line and ordered this one. I was so please by this when I received it in the mail. Not only is it stronger then the first one we had, it is also padded and much more comfortable to hold on to, thank you EzyDog. Love this leach, gives me better control over my dog. My dog is hyper and our trainer suggested leaving a leash on while we are at home with him so we can correct him and the other's were to long and he would pee on them when he went outside this is short enough that it doesn't even touch the ground but is long enough to grab it to correct him.